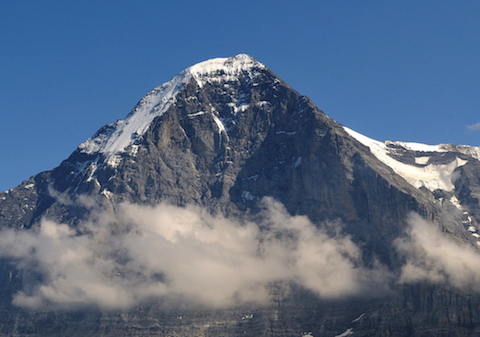 No other mountain in the Alps elicits emotions like the Eiger. Foreboding and dominant above the Alpine village of Grindelwald, it has been the inspiration for Hollywood films, books and countless mountaineers. IFMGA Mountain Guide Tim Blakemore gives us a tour and inside tips. At 3,970m, the Eiger fails to hit the magical 4,000m height so collected in the Alps, and is much better for that. Its North Face is almost twice the size of many (1,800 vertical metres) and is considered one of the three finest alongside the Grande Jorasses and Matterhorn. First climbed in 1858 (by the South West Flank and West Ridge) there are now many different routes on the mountain. 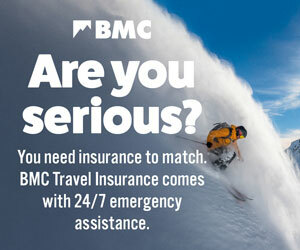 In terms of popularity there are four routes which are climbed regularly, all accessed from Grindelwald. The most popular is the traverse of the mountain via Mittellegi or North East Ridge and then South Ridge (D). The others are the Classic North face route (often called the 1938 route) ED2, The South Ridge (AD) and the West Flank (AD). 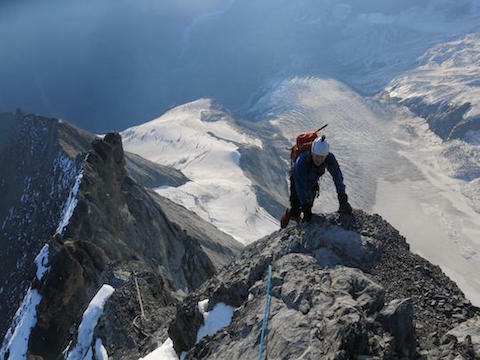 The leap in difficulty from the Hornli route on the Matterhorn to the Mittellegi on the Eiger is not just one of technicality but also commitment. Many climbers start the Matterhorn and turn around for a variety of reasons. This is not really an option on the Mittellegi, so proper training must be carried out (whether you are guided or not). The difficulties are primarily on rock (in good conditions) so plenty of big boot scrambling in the UK is a good start. The ridges of Ben Nevis, Snowdonia and the Cuillin of Skye are ideal. Many British Mountain Guides offer this sort of pre-Alpine training now. Ask when booking if your guide knows the Eiger. Anecdotal advice is always useful. Once in the Alps I like to acclimatise and train in the Mont Blanc massif which is cheaper than Switzerland and has many options. An ideal combination (and great routes within their own right) might be the Dent de Geant and the Rochefort Arete ensuring acclimatisation, practice on fixed ropes, abseiling and delicate cramponing. Like many alpine routes the ability to move fast and efficiently is important. I take a 50 metre rope as there are unavoidable abseils on both the Mittellegi and South Ridges. Other than the normal glacial equipment I carry a few cams, quick draws (short slings) and I find a ‘cows tail’ useful. Many of the local guides will move together over the ground with intermediate runners but you need to weigh up that decision yourself! Remember that you will be carrying everything over the mountain with you so leave absolutely anything you won’t use in the valley. Day one (approaching the Mittellegi hut) should not be underestimated. Although a relatively short hut approach it probably has the hardest move on the route! It is really easy to get off route and good visibility is essential. This is no place to be with anyone you’re not sure about. Do yourself a favour and start early. The adventure starts at the Eismeer Station deep within the bowels of the mountain! As the train leaves locate the tunnel which leads down to the glacier (the staff will point you in the right direction). Sometimes you should wear crampons immediately and have your torch handy. 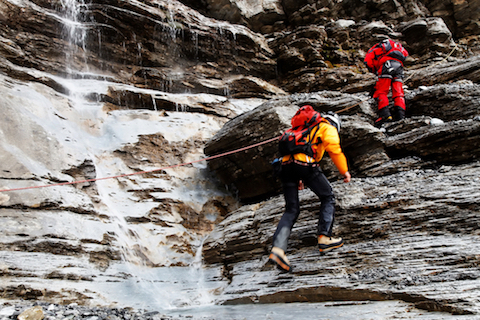 If the snow cover is good accessing the glacier is easy but if not an abseil can be made from a bolt. 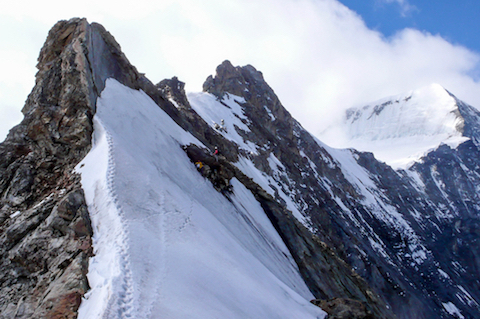 The local guides take a rising traverse to the isolated Mittellegi hut (a looser alternative is to climb directly underneath it) after a tricky climb (protected by bolts). The next day you will be told by the (excellent) guardian what time to start. The teams are staggered and the system seems to work well. Whilst ‘overtaking’ is quite hard on the route traffic jams are not really experienced here as the route absorbs people better than the Hornli for example (the local guides are extremely polite and pleasant too). The big decisions on the route are when to put your crampons on (in good conditions near or even on the summit) and how to descend the South Ridge quickly (a mixture of lowering and abseiling works well). Lastly, the route is not over 'til it’s over, and the traverse of the Eigerjochs is time consuming and should not be rushed (it’s still AD mountaineering). 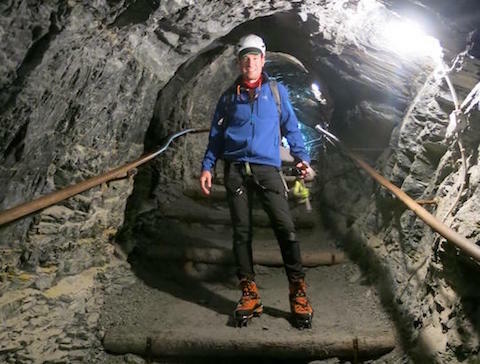 Quick teams will do the whole traverse (Mittellegi to Jungfraujoch) in 7-9 hours in good conditions with few rests. 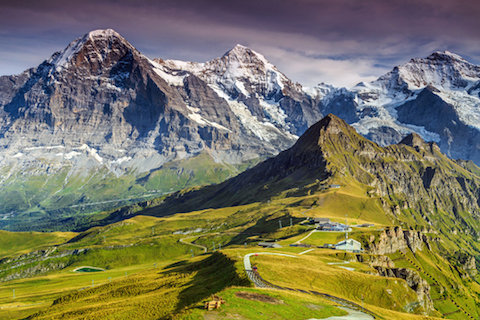 The Eiger is located in the Bernese oberland and the normal valley base is Grindelwald. I personally like the Mountain Hostel and they may allow you to leave your car for a fee. If not seek out a car park which allows 24-hour parking (Swiss parking fines are astronomic). There is a good one over the bridge from Grindelwald Grund train station. Even better just take the train. Anywhere in Switzerland can then be your base but Interlaken would work well for example. At Kleine Scheidegg you transfer to the mountain railway and get off at ‘Eismeer’. For booking the Mittellegi hut (essential), information and the local Grindelwald guides contact Grindelwand Sports (English spoken). 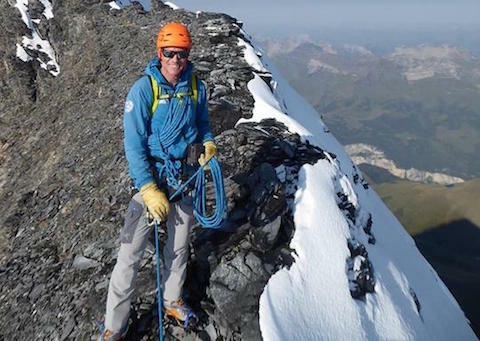 Tim Blakemore on the Eiger. There is one Bivi spot just down from the hut, that can sleep three comfortably, which we used cause we're cheap! Welcome to the most trusted and expert paper composing administration. We are an exceptional paper composing administration that meets all your exposition/postulation composing needs with the most astounding respect for the quality you incline toward.